If you were to follow a ranger’s footsteps around a reserve, you would see a wealth of the habitat’s diversity flying, rustling and crawling around you. Seeing it through the ranger’s eyes, you could keep track of the bird species nesting and feeding in the trees, see the abundance of insects in the undergrowth, hear the frogs chirping from their hidden homes. 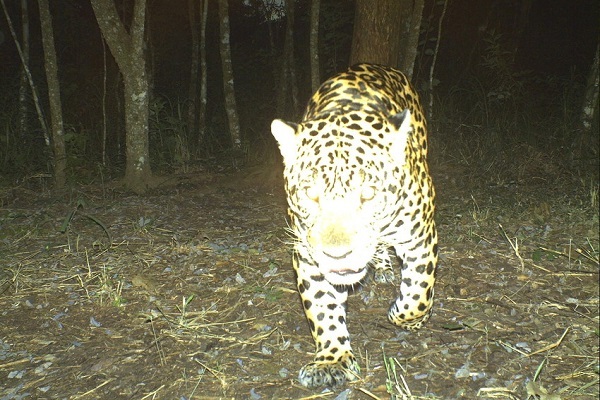 You would also be able to see the nocturnal traffic of the trail on the path in front of you by noting the tracks and scent marks left by mammals such as tapirs, peccaries, deer, and if you were lucky, a spectacular wild cat. As tracks can easily be lost before a ranger’s patrol, these wildlife surveys are aided by camera traps, hidden trail cameras left out on the most heavily traversed paths, often leading to water. 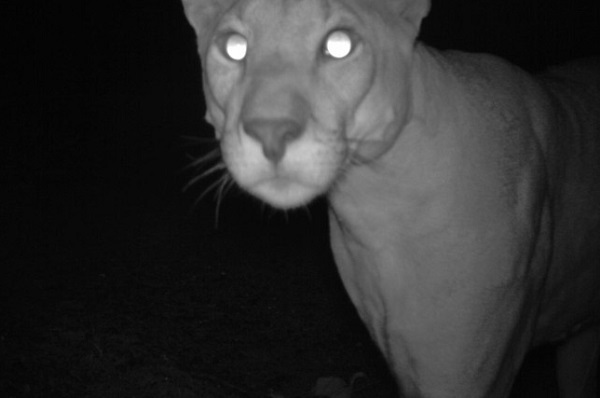 This technology has become incredibly useful to conservationists for monitoring elusive and nocturnal species such as the charismatic cat species reserves are aiming to protect. World Land Trust (WLT) has collated some of the valuable images sent from our Keepers of the Wild captured by trail cameras. El Pantanoso Reserve in northern Argentina, provides an important corridor for wildlife movement between Argentina and Bolivia and is part of the largest continuous habitat for Jaguar in Argentina. As one of the reserve’s main functions is to provide passage for several wild cat species (others include Puma and Ocelot), photographs such as the above of a Jaguar are important indicators that El Pantanoso (which is currently being supported by WLT’s Buy an Acre, Argentina fund) is thriving. Barba Azul Reserve is known for being a birding hotspot and is currently the focus of WLT’s appeal for the Critically Endangered Blue-throated Macaw. 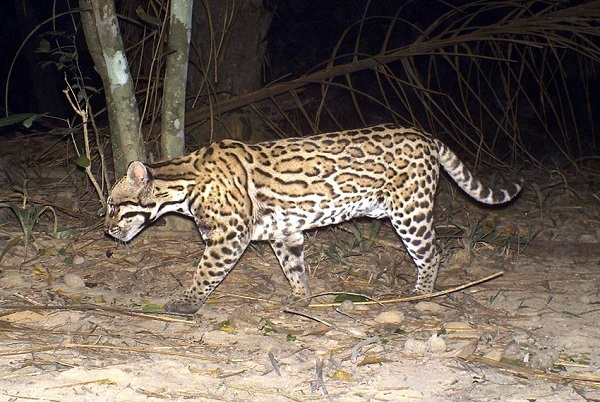 As well as rare bird species, the Beni Savanna in northern Bolivia is also an important habitat for large mammals such as the Ocelot (pictured), Jaguar, Puma and Maned Wolf. 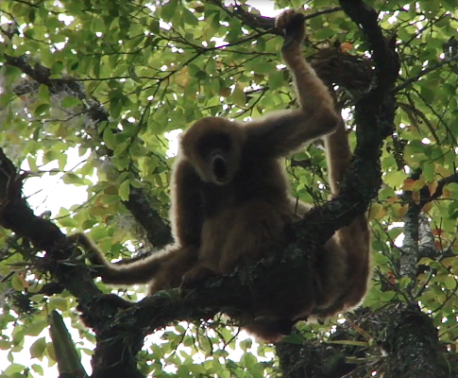 The constant threats to the Rio Bravo’s rich tropical forests include hunting, illegal logging and wildfires. The 252,000 acres (more than 100,000 hectares) protected by WLT’s partner Programme for Belize is home to 390 species of bird, 200 species of tree and 70 species of mammal, including the Puma (pictured), as well as Jaguar, Ocelot and Margay. 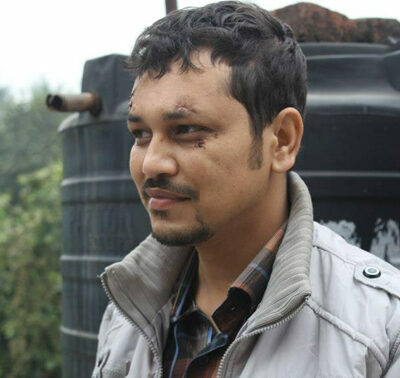 WLT works with partner Wildlife Trust of India to secure important areas of land which connect protected areas and national parks. These corridors are vital for the safe passage of Indian wildlife to travel within their range looking for food and mates. 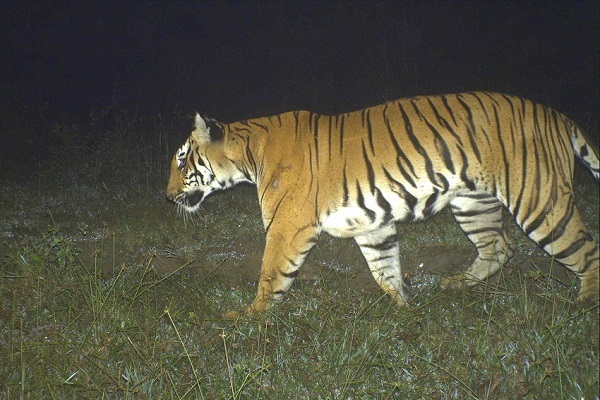 This trail camera image of a healthy adult tiger using the corridor between the Tirunelli and Kudrakote Reserve Forests shows the importance of such wildlife corridors. 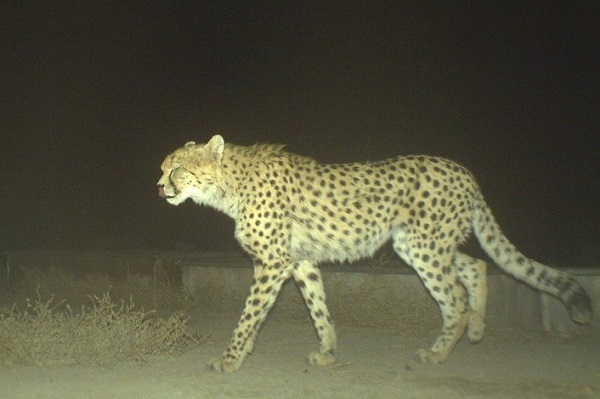 WLT’s partner Iranian Cheetah Society (ICS) have been conducting a long-term study of the Asiatic Cheetah, one of the world’s least researched big cats. Trail cameras have been instrumental for this research, enabling ICS to monitor the populations, migration and survival rates of the of Asiatic Cheetah and Caucasian Leopard in the Caucasus. After land securement, trail cameras are vital tools for WLT’s project partners to monitor the progress of reserve management and keeping track of the populations the project aims to protect. WLT supports the continued protection of reserves and their monitoring through the Keepers of the Wild appeal, which supports the salaries of rangers who patrol the reserves to deter illegal activities and monitor the wildlife.